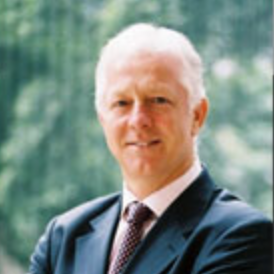 Neil Morrison is a founding Partner of Stones International, focusing on the Supply Chain & Transportation sectors. Prior to joining Stones International, he worked for a well-established executive search firm, based in Hong Kong. Neil is a Fellow of the Chartered Institute of Management Accountants, having completed his training with a prominent petro-chemical company in the United Kingdom. After qualifying, Neil began his career with DHL, as the Country Financial Controller for Egypt. He subsequently held numerous senior financial positions in the Middle East, Africa and Asia. Latterly, he accepted a senior marketing role with DHL, with responsibilities extending over 50 countries, as Regional Director of Sales to financial institutional clients in Asia Pacific. In 2000 Neil joined a privately owned Asian-based Transportation and Logistics group, as Group Managing Director. A British National and permanent resident of Hong Kong, Neil has lived and worked in Asia for over 25 years. He brings a wealth of transportation, logistics and regional general management experience to Stones International.